Bad news and tough times do have the power to bring people together and put things in perspective. Take the example of actress Ashley Judd and race car driver Dario Franchitti. 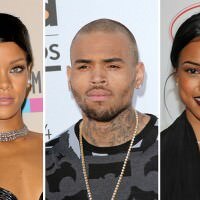 They had separated in January 2013 after 11 years of marriage. They never actually divorced but were living separately and fit the category of estranged. 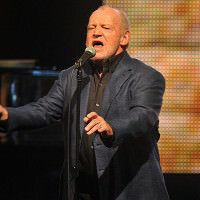 No juicy details were given at the time, and the break-up seemed generally amicable by Hollywood standards. But after Dario had a serious crash at the Houston Grand Prix in October 2013, Ashley returned to his side and supported him as he recovered from injuries that included a concussion, a broken ankle and two fractured vertebrae. She also sent out a variety of Tweets thanking everyone for their support and kind thoughts. She also continued to be supportive even after he began doing well, and in November, told US Weekly that they were still madly in love and officially planned on giving their marriage another try. In an interview with Ladies Home Journal this spring, she admitted that their relationship has always been and will always been complicated, and even if they’re not together, they’ll still be bonded for life. But they never have wanted to be ones to air their relationship highs and low in the public eye like some high-powered couples are known to do. Their 2001 wedding in Scotland was private as well. She told the magazine that Dario will always be someone she loves, and she also loves his family, and he hers. The dynamic will definitely be changing – Ashley plans to keep on acting, and has a role in “Divergent,” one of the bigger movies this spring. But the fall accident has required Dario to consider other career prospects – last November, he announced on Twitter that he plans to retire from racing after 30 years behind the wheel with three Indy 500 trophies and four Indycar championships. This big move was based on advice from his doctors who were concerned about possible spinal and brain damage if he were to have future accidents. 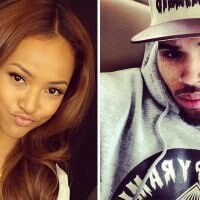 Chris Brown Dumped After Rihanna’s Visit Chris Brown Accused Of Cheating, A Lot! Zach Braff and Taylor Bagley: It’s Over! 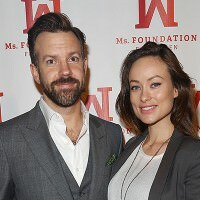 Olivia Wilde Makes Red Carpet Appearance 11 Days After Giving Birth Joe Cocker Dies Aged 70 – You Can Leave Your Hat On, Maestro Kimye Expecting A Baby Boy!